Slope Mowing: We can safely mow 30 degree inclines. Don't try to tackle those slopes on your own and don't let them go to seed. Let us take care of them for you! Soft terrain and marshy areas are also no problem for us. Our equipment is made to handle those issues. 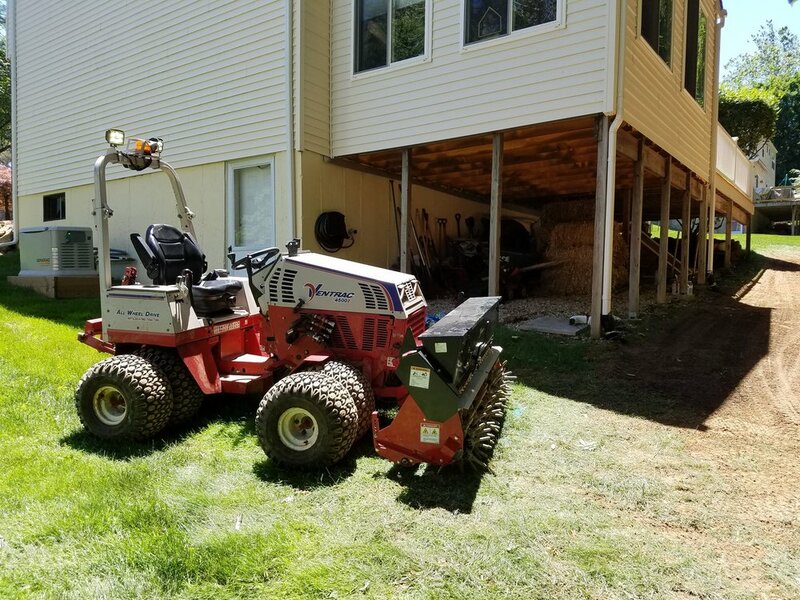 Aerating: Cleaning up after other heavy equipment work, or after we do a trenching/drainage job for you, we can aerate and reseed or over-seed your lawn. 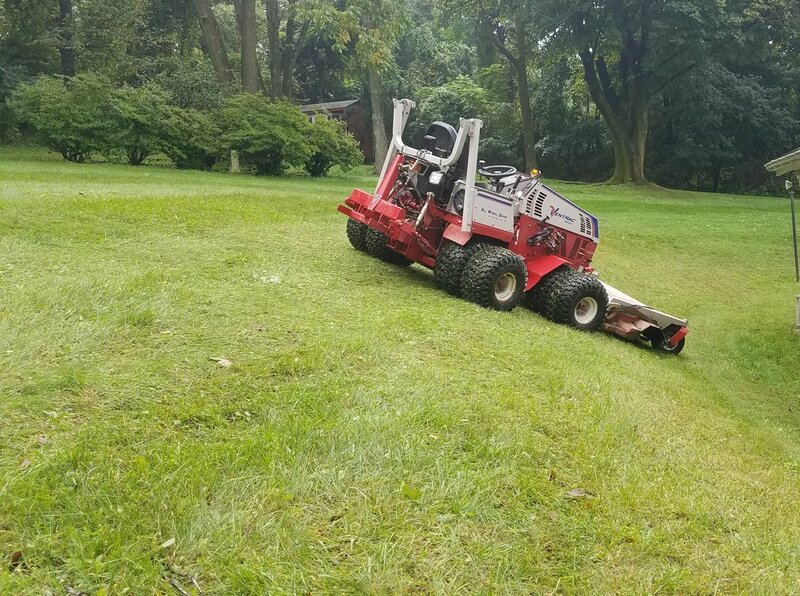 Brush Cutting: If you want to clear some areas just once or twice a year, our equipment can handle brush that regular mowers can't. We can also do field mowing and lot clearing. *Brush cutting photos and videos courtesy of Kristina Diane Photography.